Are you one of those parents who want to name your daughter after the strong and fearless women of the Wild West? Do you want a name that honors the cowgirl life, rather than some flimsy name from the music industry, Hollywood or Bollywood? Well, then you must read our post. Many legendary women were born from the time of the Wild West, proving people that women were not just rough and tough, but are also capable of wielding guns. These brave women left tales of their determination and resourcefulness for other women. Many famous Cowgirl names have a rugged aura, which gives the feeling that you are living in the wilderness. 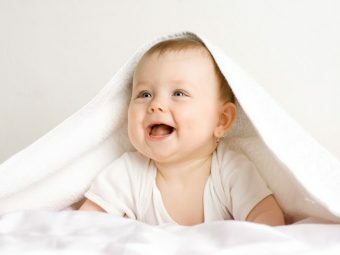 Many renowned and famous people and legends of America have used the name for their children. 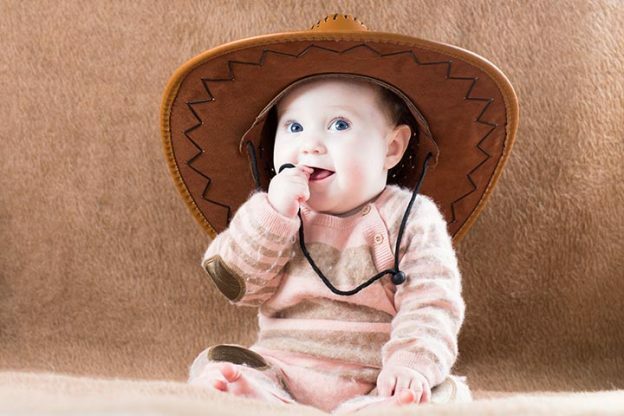 From western destinations to the famous cowboy girl names, we have come up with a list of 20 cowgirl baby names that will ride their way into your heart. Sierra has a majestic vibe to it. It evokes the images of the snow-capped peaks of the Western mountains. The meaning of Sierra is ‘the mountain range’. This outdoorsy destination name shot to popularity in the early eighties and nineties. 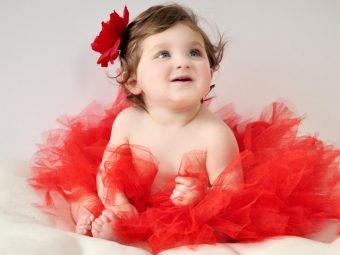 In fact, the name was such a hit that it even showed up in the title of a popular baby name book. Montana is a state in the United States Of America. The main charm of the name is its association with the Wild West. 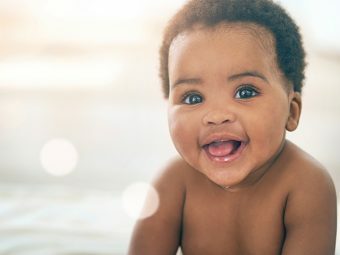 The name Dallas has a much longer history as a baby’s name than the current favorite destination names Dublin and Brooklyn. This classic Western moniker is as incredible as your favorite cowgirl is. The name Dallas means From the valley. The name Dakota is popular for both boys and girls. Dakota, along with Sierra and Montana rode the 1990s geographical name wave. Dakota Fanning has made the name even more popular. The meaning of Dakota is ‘partner or friend’. Do you remember Kathie Lee Gifford, the tastemaker of the early 1990s? She chose Cassidy for her daughter. Soon after, thousands of parents followed the suit. This Irish name means ‘clever’. This Sunbelt name has a high potential to be blazing hot. It has a Southwestern appeal to it. Ari will make a perfect nickname. The meaning of this Native American name is ‘place of little spring’. The name sultry name Alabama is of Native American origin. It is popular in most of the English-speaking countries. Annie was the name of one of the most popular cowgirls of her time. Being born in a poor family, Annie took over to hunting to feed her family after her father passed away. She became the first woman to feature on the Buffalo Cody’s Wild West Show. The meaning of Annie is ‘blessed with Grace’. Dale Evans, also known as the “Queen of the West” inspired many future cowgirls. Besides being a cowgirl, Dale was also a singer, actor and a writer of more than two dozen books. Sacagawea was just a teenager when she helped a group to explore the Louisiana Purchase territory. She also helped secure the supplies and taught the team about the edible plants. Also known as, the “Wild Horse Annie” Velma Johnston spent years of her life protecting the wild horses. Velma is also the name of one of the main characters from the Scooby Doo. Sandra Day O’Connor, before becoming the first female Supreme Court judge, was a little girl who shot guns, rode horses while staying in Arizona. The name Sandra still sounds fresh as it was before. Rose Dunn, also known as the ‘Rose of Cimarron’ was an inspiration for all the cowgirls. She joined George Newcomb and his Doolin Gang as they robbed stagecoaches and banks. Once, Rose even risked her life to help a battered Newcomb escape a battle. So if you want your daughter to be lovely and brave, then name her Rose. But make sure you keep her away from stagecoaches. Martha Jane, nicknamed as “Calamity Jane” was a cowgirl from South Dakota. She was a gun-slinging girl who was remarkably good at horse handling skills. This is one of the unique cowgirl baby girl names. Not many would associate this gentle and delicate name with a cowgirl. But it was the name of one of the most notorious female outlaws of the Wild West. She got hooked on the cowgirl when Jesse James’ gang took refuge at her family’s farm. She spent most of her life robbing banks along with her cowboy husband. Laura Bullion, the “Rose of the Wild Bunch” was a member of Butch Cassidy’s famous gang. With a bank-robbing father, Laura was raised to be an outlaw. After spending time in prison, Laura gave up the “wild” life and became a tailor in Tennessee. Etta Place was the companion of the Sundance Kid and American Outlaws Butch Cassidy. People don’t know much of this mysterious cowgirl. Her inexplicable vanishing sparked the most interest amongst the people. No matter what, Etta makes a gorgeous name. Pearl Hart, the Canadian-born girl, was profoundly inspired by the Wild West and Annie Oakley. She married a gambler and went to America, but eventually left her husband to become a cowgirl. A brave step, we must say. Lillian Smith was a sharpshooter who joined the “Buffalo Bill’s Wild West show at the tender age of 15. She was a confident and flashy woman who considered Annie Oakley as her rival. 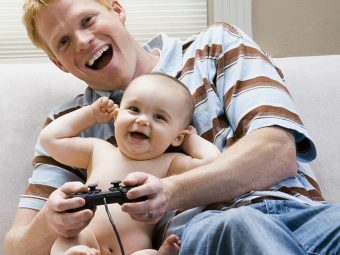 Your little woman will love you for giving her a lovely sounding name. Name your baby Charlie, a strong and determined cowgirl. Charlie, the daring cowboy, spent most of her life fronting as a man. She took an arduous job as a stagecoach driver and served for the California Stage Company and Wells Fargo. She is also the first woman to cast a ballot. Remember, several names have different meanings in other languages and countries. So make sure that the name you choose does not have an unpleasant meaning. If you are aware of some Cowgirl names for babies that are not in the list and you would like to add them, then please leave a comment below.